At Communication Legal Translation Establishment, we derive a special feeling of accomplishment on our resourceful Linguistic services in Sudan for eloquent, approved and correct linguistic, Grammar, Style and Spelling checks that fittingly comprise of personal, official, medical, humanitarian, financial, academic, promotional legal and industrial reports, documents, statements, plans, etc. in the Arabic and English Languages for the exceptional appreciation of our clients of noteworthy standing. 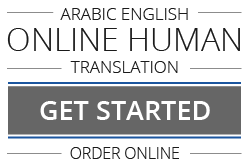 Demonstrating practically twenty years of acknowledged skillfulness, our startlingly accomplished connoisseurs put in the complete meticulousness to our Arabic and English Linguistic services in Khartoum, Port Sudan, Omdurman, Al Ubayyaid, etc. that we perform without fail.